The Garden is available for Garden Tours personally guided by June. Entry into the Garden is 6 euro. While in June’s it is worth visiting her brother Jimi’s garden, Hunting Brook Gardens, which is also on the family farm. There is ample parking for buses and cars. Many of the plants growing in her garden are for sale in the nursery including Primula ‘June Blake’ and Pulmonaria ‘Blake’s Silver. 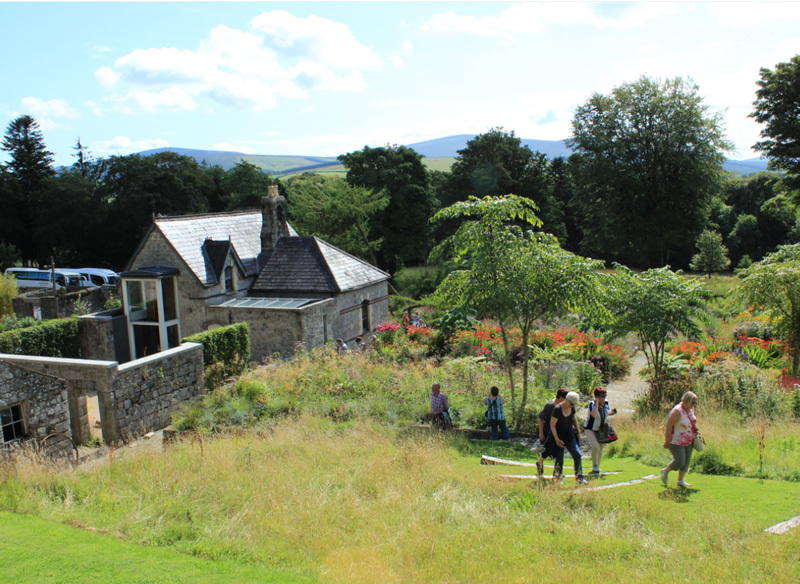 Tour Guide and Author Heidi Howcroft has been a regular visitor to the garden with groups from Germany. She recently published a Book with Photographer Marianne Majerus entitled Garden Design; A Book of Ideas. The Book includes photos of June’s garden. 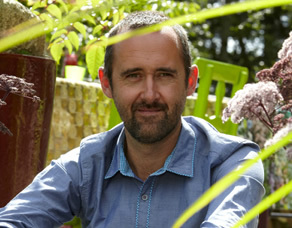 Over the last fifteen years June Blake has created a garden of great character out of what was effectively a blank canvas: a garden that blends the familiar with the new, is inventive, dynamic and resonates with garden fans of all ages and backgrounds. The appeal lies in its size, just over 1.2 Hectares (3 acres) design, variety and the fact that, just like we like to try at home, it is continually being tweaked. The garden is above all, one that can be experienced on different levels, whether by close examination of the exquisite planting, by wandering through the meadow to the shady borders and on to the vibrant flowerbeds or just enjoying the scene from a garden seat. For groups, all too often herded through gardens, June’s garden is an opportunity to explore, appreciate, to be inspired and surprised. As friends of the garden know too well the route of a path might have changed since the last visit opening up new views, a bench added so as to tempt you to linger that bit longer or flowerbeds subtly altered. So even if you think you know the garden look again, and check up on it from time to time. June’s garden constantly scores as one of the top three favourites of my garden tours; given the competition this is quite a feat. Perhaps it is due to a fusion of plantsmanship and style to create a must see new country garden that is rooted in the Irish tradition of garden excellence. June's Brother Jimi's Garden minutes away. Two highly acclaimed gardens are a very popular destination for group tours and we invite you and your group to take this opportunity to visit both of these beautiful gardens. We can facilitate both small and large groups and look forward to welcoming you to our gardens. 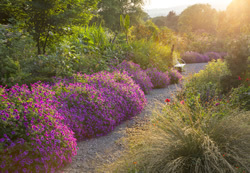 The Dublin Garden Group (DGG) consists of Ireland’s most distinguished private gardens in the greater Dublin area (Wicklow) – some of them world famous and others secret gems, whose discovery has been the highlight of many a Garden Tour.